The Money and Dirt blog would like to thank its readership for helping the blog earn a JD Supra 2018 “Readers Choice Award” in the Real Estate category! JD Supra published insights and commentary from over 50,000 authors last year. Of those, 242 were recognized for “for achieving the highest visibility and engagement for their particular expertise” and the author of the Money and Dirt blog, Kevin Brodehl of Patton Sullivan Brodehl LLP, was 1 of 10 authors selected in the Real Estate category. The same author is going to launch a new blog coming in October 2018 — The LLC Jungle. The LLC Jungle blog will cover developments in California law governing limited liability companies — the increasingly popular form of corporate entity through which people conduct business. 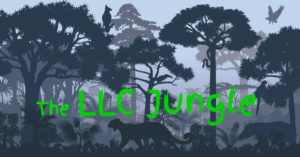 Money and Dirt has touched on many LLC issues, but The LLC Jungle will focus exclusively on LLCs.